Elizabeth Rowe (right) has filed a lawsuit against the Boston Symphony Orchestra under the Massachusetts Equal Pay Law. 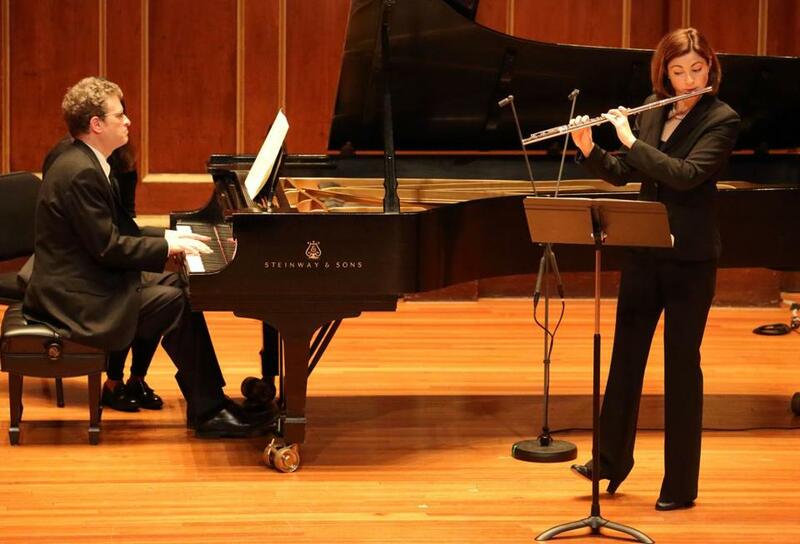 The Boston Symphony Orchestra has responded to an equal pay lawsuit by its principal flutist, Elizabeth Rowe, denying her allegations of pay discrimination based on gender. On July 2, Rowe filed one of the state’s first complaints under the new Massachusetts Equal Pay Law, which went into effect the previous day. In the suit, filed in Suffolk County Superior Court, Rowe alleged that the BSO had discriminated against her “by paying her an amount less than other comparable males.” Under the law, employers must pay employees of all genders the same wage or salary for “comparable work,” with some exceptions. Rowe’s complaint compares her salary to that of principal oboist John Ferrillo, saying that though Ferrillo is her “equal in the orchestra,” she is paid roughly three-quarters his salary despite her having been “recognized as the face of the BSO and a star performer,” frequently selected as a soloist and featured in promotional materials. The BSO’s tax filings for the fiscal year ending Aug. 31, 2016, list Ferrillo’s base compensation as more than $280,000. Rowe’s compensation is not listed in the tax filings, but Rowe’s attorney, Elizabeth A. Rodgers, said in July that Rowe was paid $70,000 less than Ferrillo as of 2017. The BSO’s filing states that Rowe’s compensation package makes her currently its fifth highest paid principal musician, ahead of nine other BSO male principals. It adds that Rowe is paid the highest fee per solo performance of any BSO principal musician. The BSO requested that Rowe’s complaint be dismissed, and that Rowe pay the BSO’s costs and attorneys’ fees. Ferrillo joined the orchestra in 2001, and Rowe joined in 2004. They sit next to each other in the orchestra, both lead woodwind sections from endowed chairs, and Ferrillo performs with the elite Boston Symphony Chamber Players alongside Rowe, who is the only woman in the ensemble. Rowe filed an amended complaint Aug. 10, noting that the BSO board had met in mid-July and did not raise her pay. In a signed statement attached to Rowe’s complaint, Ferrillo praises Rowe’s musicianship and leadership within the orchestra and emphasizes the importance of their close teamwork. Rodgers, Rowe’s attorney, declined to comment on the BSO’s court filing. Through a spokeswoman, the BSO declined to comment on the latest developments. The orchestra is being represented in this suit by the law firm Jackson Lewis P.C., which did not immediately respond to a request for comment. Zoë Madonna can be reached at zoe.madonna@globe.com. Her work is supported by the Rubin Institute for Music Criticism, San Francisco Conservatory of Music, and Ann and Gordon Getty Foundation.